Demo Day returns! 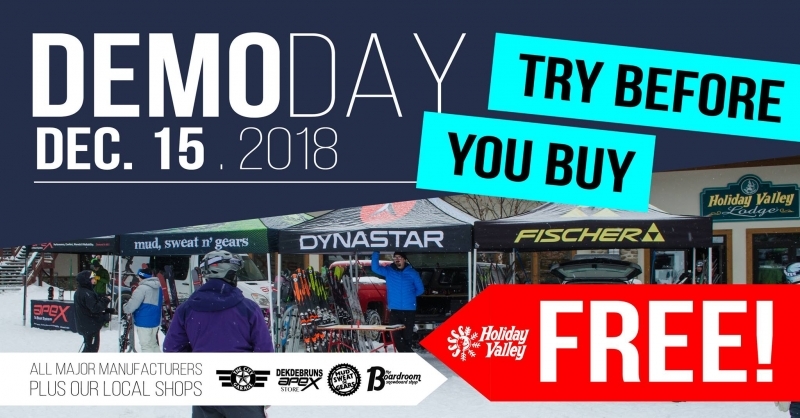 This is a great chance to try this year's equipment on snow before you buy - for FREE! The industry's best brands will be on-hand for a FREE consumer demo. Try it, test it, rip it, then head to one of Ellicottville's shops (who will also be there) to buy it. Brands: Lib Tech, GNU, Burton Snowboards, Salomon Snowboards, Bent Metal Binding Works, Salomon, Dynastar, VÖLKL, Apex Ski Boots, Armada Skis, HEAD SKI, Line Skis, Blizzard Ski, ATOMIC SKIING, Rossignol, K2 Skis, Nordica, Fischer Ski and more.